Our Youth Leadership purpose is to empower youth through Engaging, Developing, and Inspiring them to be change agents in their communities. This is achieved through a highly interactive and collaborative training that goes through the Strategic Prevention Framework which is a proven model for community change that increases leadership capacities, civic and political engagement, and problem-solving among youth. Effective community coalition work requires the involvement of youth at all levels, from leadership to strategy implementation. Young people have powerful voices and bring critical insight and sustainability to prevention. 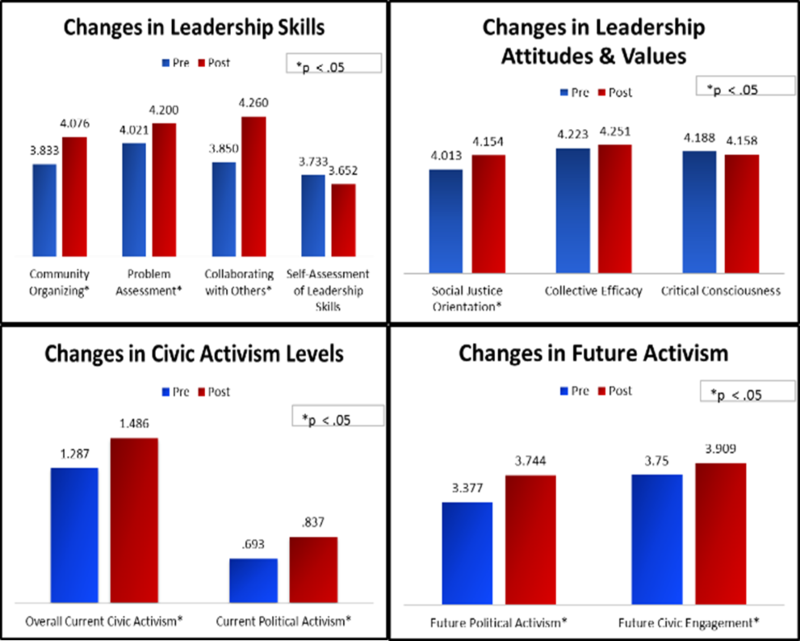 Where do we find young people to lead and participate effectively in our coalition work? How do we keep them involved? What do we do as our star young people age out and move on? Our shared challenge is to engage young people in ways that honor and respect their unique gifts and perspectives, while still operating strategically and effectively. IT CAN BE DONE. This course teaches an introduction to prevention and coalition work and takes youth and adult advisors through the Strategic Prevention Framework. Youth leave these trainings with a Logic Model, Community Assessment, Interventions and an Action Plan. For graduates of the Key Essentials course, our advanced course offers a more in depth look at the Strategic Prevention Framework including: data collection and analysis, advocacy and policy change, and experiential learning. Our Advocacy and Policy course trains young people in skills to advocate on the state, local, and national level. This course learning objectives include the process of policy change, public speaking skills, and cultivating champions. The Photovoice course teaches photography and caption writing as a means for advocacy and data collection. Photovoice projects completed by CADCA trained coalitions have been instrumental in creating policy chance around the country so far. And More! – CADCA’s Youth Leadership department also offers tailored workshop courses at Fee for Service trainings and will be debuting a workshop track at Forum 2018. Topics include: Fundraising, Creating Public Service Announcements (PSAs), & How to Chance a Local Ordinance. CADCA's Youth Leadership is built on the framework of evidence-based community problem-solving processes researched and documented by the World Health Organization Collaborating Centre Workgroup for Community Health and Development at University of Kansas. This work has been calibrated for substance abuse by CADCA and institutionalized over 10 years through the National Coalition Institute (NCI), National Coalition Academy and CADCA’s Youth Programs delivery system. CADCA's Youth Leadership is embraced by White House Office of National Drug Control Policy (ONDCP), states and local communities. It helps coalitions build capacity to foster youth leadership in design, implementation, and evaluation of action strategies addressing community problems through “Youth In Action” Projects which employ seven evidence-based behavioral change strategies with an emphasis on environmental change to effectively address the problem behavior identified. This experiential educational model is designed to create community change by improving individual core competencies and essential group processes of youth and adult advisors to create change at population-levels. The distinction between this youth leadership initiative and others is the intentionality for the development of youth, ages 13 to 22, to become good community problem solvers, communicators, and advocates who participate in the creation of a civil society. There is also a central focus on workforce development as we integrate youth into the fabric of local communities.